You're actually going to Malawi? Wow! That's fantastic. but, whatever you do, we certainly all want to hear about it. 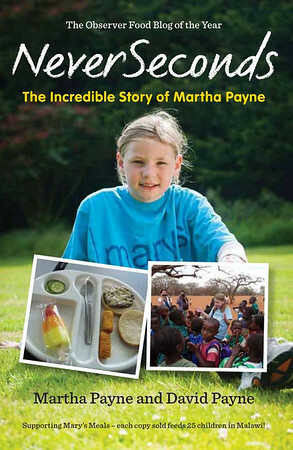 Martha Payne is a name that we're going to be hearing for a very long time. You could get a solar charger to charge your computer/phone etc and log in that way. Plenty of sun there!! Well done for all you've achieved. Great work!! Thank you Martha for bringing this to our attention and a very good blog. Excellent! Well done and thank you ! Way go to! Well done VEG. Good honest writing, and very inspirational. 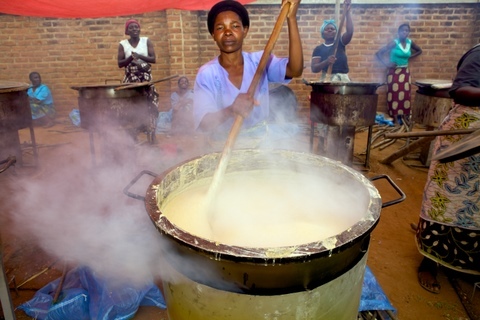 I am so pleased to hear you will be going to Malawi to help finish the kitchen you started with your blog! I am also pleased to have heard you and your Dad thanking us, though it would never have happened without NeverSeconds, go Martha! I'll be having my corn meal mush/Indian Pudding tonight for supper in solidarity with you and the Malawan students. Bon Appetit! I live in England, but went to Malawi last year. Malawi is a beautiful country with amazing wildlife (like elephants, hippos and crocodiles), but what makes it extra special is how friendly all the people are there. When we visited some Malawians we met used 3G "dongles" to connect to the internet using the mobile telephone network. The "dongle" looks like a usb memory stick that you stick in your laptop. This may be an option to allow you to continue your blog while you are on your adventure? I love your blog, your writing is always so good, well done! Having found the blog following the media coverage, I'm really enjoying it and will miss your own exploits while you are on holiday, but I hope you have fun. While reading today's I recalled a book my sister really enjoyed as a child: Amazing Maisie and the Cold Porridge Brigade, it seems to be out of print so it might be hard to track down but you might like it. I know this blog is about your school meals, but you often mention in passing things you eat at home, or that you parents have grown. I'd really like to know more about that, I'm guessing that your parents are as food conscious as you are. And so equally worthy of praise. I just hope my nephew who will be entering school in the next few months (also in Scotland but on the east coast) will get to eat as well as you. In case I don't comment again. Thank you very much for a wonderful blog. Ninja, that book is still available from Amazon at various prices starting from £13.90 + postage. Wow! I'm so excited that you get to go to Malawi. When I was your age, I wanted to go to Africa more than anything else. I'm now 45, and still haven't had the opportunity to go. So, I get to live vicariously through you. I can't wait to read about your experiences! You have accomplished so much in such a short time. Very very cool! You are a great inspiration. Thank you!! Love the video! You and all the children are very welcome and very deserving of our support. I will have porridge for my breakfast tomorrow. VEG- you are an inspiration! I look forward to reading your blog every day now, and I am thrilled to here you will actually go to see your/our kitchen. It's also good to know the porridge tastes OK. I'd wondered if it was one of those things you ate because you had to, and it seems better to pay for it when you know it's nice too. Don't know what I will do over the summer when there are no school lunches. So exciting that you're going to Malawi! You are making such a difference in the world, and being a role model children everywhere can look up to. Keep up the good work! Hey Martha(VEG),I read about your troubles in the local newspaper and had to come see your blog.I must say,you're doing a great job as a blogger. Becoming famous for just being yourself is quite impressive,keep up the good work. It was so great to see you and your dad on the video! I am looking forward to hearing about your trip later down the road. Make sure to write a paper journal, if you cannot do an electronic one, so that you don't forget any part of the trip. What a wonderful person you are. I can only imagine how amazing you'll be when you grow up. Please don't stop. Also, how lucky to have such amazing parents! You are all exceptional!!! Congratulations on your upcoming trip and for all that you have accomplished through your blog. What a tremendous opportunity you have. I can't imagine how excited you must be for it all! Malawi? Wow, VEG, you're really something! And congratulations on getting through your own lunch. I don't think I could have done. Oh, well, you'll be on holiday and lunch won't be an issue then, because you and your Dad will be the ones making it. Glad to see you going from strength to strength VEG, and at such a young age. You are an inspiration and stir up passion/motivation even in us adults. I really hope you will enjoy your visit to Malawi and that the trip gives you further conviction to carry on blogging, cqmpaigning for healthy school meals, tackling world poverty etc for years to come. Always remember that grown-ups get bored from listening to other grown-ups (bosses, politicians, newsreaders etc) so when a little person like you uses their little voice on such a big topic, the world stops to listen. Like many other readers and subscribers, I would love for you to take lots of photos and videos of your Malawi travels. Martha has been nominated for NeverSeconds as Observer Awards Best Food Blog. This would be great for Mary's Meals. Maybe the African schools Mary's Meals works with could team up with Send A Cow http://www.sendacow.org.uk/, so that the kids can learn how to grown their own fruit and veg too. I know that you enjoy doing that as well. Another organization that donated animals to poor people worldwide is Heifer International (www.heifer.org).That would be another good charity to work with! I am delighted you are going to Malawi to see how the funds you raised are being used. Yes, please do take lots of pictures and tell us all about it. A brilliant concept and extremely well written, congratulations on your ongoing success and good luck with you work Mary's meals! Sorry if this sounds silly. But I have a daughter around your age (actually, a little older-- almost 11), and there's something about reading your blog that often makes me tear up, because... even though I don't know you... I'm so proud of you for the work you're doing and what you've been able to accomplish just by being your own self! Just like I'm proud of her, only she's not world-famous. :) Don't mean to sound all creepy and mom-like. I just think you're an amazing, smart person, and that people totally underestimate what kids can do. A big thank you to your parents, too, for giving you the reins on this. I bet they are awesome parents. I am from Washington, D.C., don't have kids, and VEG's blog makes ME tear up every time, too! It's because it gives me faith to see someone so young doing good, despite all the not so great stuff you read about in the media. VEG, don't ever stop doing what you believe in. I am 25 years old and it can get hard sometimes to stick up for what you want in life, or the things you care about most. You are a very strong and smart girl - always stay true to these qualities! VEG's parents, I hope I can raise a kid like yours someday. And for an extra-hard challenge...can you find the Adams Morgan neighborhood, located in Washington, D.C., USA? It might take a second map! 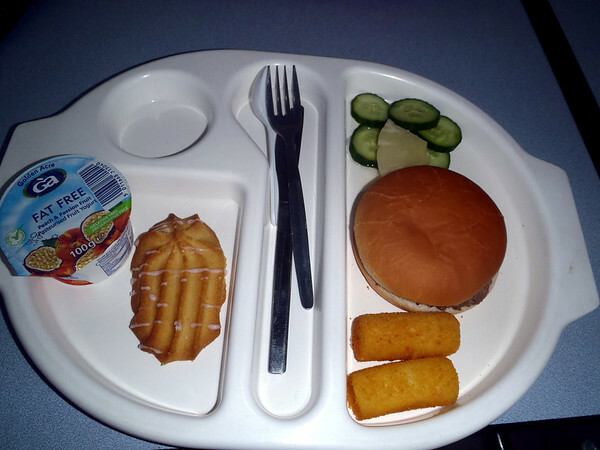 Veg, your blog has grown into an instrument that changed both your own school lunch, Malawi's and who knows how many other schools. Keep up the good work, your blog is incredible and very creative! This is Chi-Chewa, the main language of Malawi. I'm sooooooo pleased you are going to Malawi - The Warm Heart of Africa! I have travelled throughout Africa and this is my favourite country. So much so that I stayed there for six months because the people are so warm and friendly, especially the children! But they are also very poor. What you are doing is inspirational and you will make thousands and thousands of new friends! If you have time take a ride on the Ilala - a very old boat that sails up and down the Lake Malawi. Way to go, Veg! Africa is amazing. 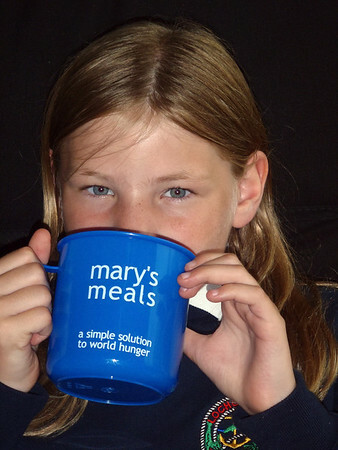 I've seen what Mighty Meals (very similar to Mary's Meals) can do and when you meet the children it is very humbling. We've donated some of our Tesco vouchers to Mary's Meals, other schools might like to do the same. I look forward to following your guest bloggers while you have a well-earned holiday and to reading your thoughts later on. you are certainly an amazing young woman. I am starting to really look forward to your blog posts of your lunches and lunches from all over the world! Veg, I love your accent! Veg, I think you are an amazing young lady, when I was your age, I was still more interested in dolls and games than food and charity work! I feel very fortunate to have learned about your blog, and look forward to reading it everyday. Please keep up the great work! Veg's mom and dad, you are incredible parents! What a poised, intelligent, and driven daughter you are raising. I feel very good about future generations when I see children like Veg doing great things. Thank you! VEG I think you're awesome! AWESOME. You've inspired some of my students to blog, and you've reminded me that food is meant to taste good and not just be used to fill a hole in your stomach. Keep up the good work. Congratulations!! You're so cute with your mug of porridge. What a wonderful opportunity you have to visit Malawi and to connect with people all over the world. Thank you for your blog and for what you're doing! A reader in Michigan, U.S.